From the Many Branches, One Tree treasure chest, this 1966 photograph celebrates the spring visit of my great-uncle-and-aunt, Phil and Benita (McGinnis) McCormick, to Mexico City, where our family was living at the time. 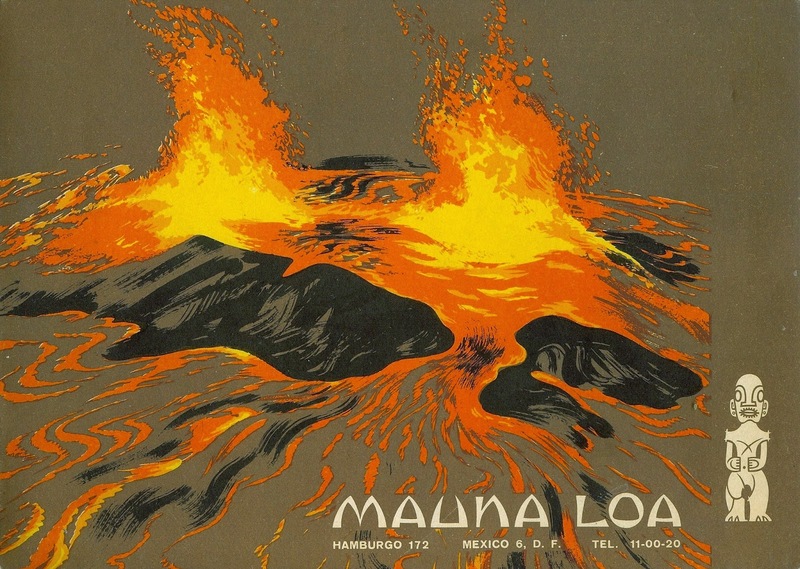 My parents, Gilbert and Joan (Schiavon) Huesca, took them to dine at the legendary Mauna Loa Restaurant at 172 Hamburgo Street, in the Zona Rosa neighborhood of the Federal District. The Polynesian-themed restaurant was considered by many to be quite exotic in its day. It later burned down, but its former customers and fans still talk about it today, and you can view photos of it on the Critiki blog. 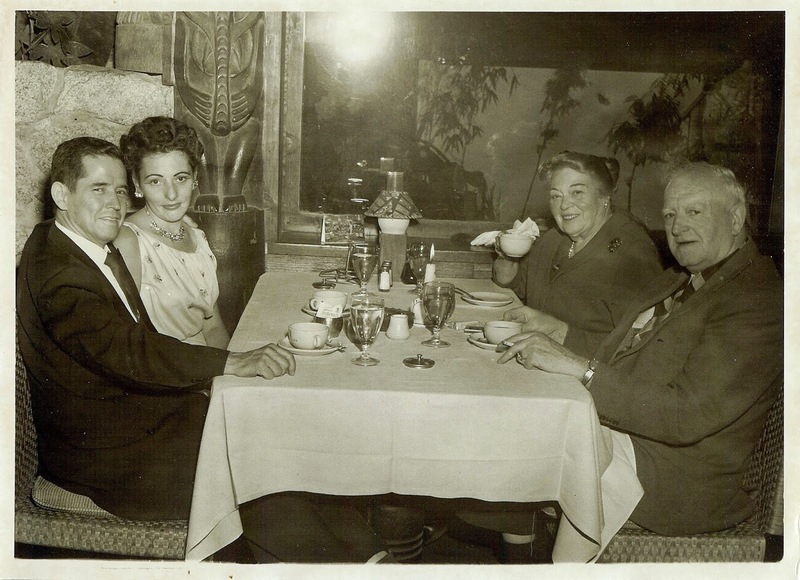 Indeed, my parents and my aunt and uncle shared fond reminiscences of their beautiful evening for many years. The rest of the McCormick’s visit was much more mundane. Some days after their dinner at the Mauna Loa, my parents and youngest sister travelled on personal business to Brownsville, Texas. Brave souls that they were, Aunt Detty and Uncle Phil stayed and babysat my other two sisters and me for the week. Uncle Phil used to walk to our elementary school to pick us up at the end of the school day. Though in his 70s by now, he remained energetic and relished his daily walks through the city, nonplussed by the high altitude. One afternoon on our way home, he took us into a candy shop to look at all the treats. It was Holy Week, and the shop, like most others in the city, was sporting a colorful window display of its most festive creations and goodies in anticipation of Easter Sunday. As only children could do with a loving uncle, we talked him into buying us half the candy store. Well, maybe not that much, but it must have seemed that way to Aunt Detty when we got home, licking our sticky fingers and chasing each other around the house on a sugar high. There went her chances of getting us to eat our dinner that night! As she regarded us with exasperation, I wonder if she recalled the words of our late grandmother and her sister, Alice (McGinnis) Schiavon. “Nana” once joked to my mother that having four little girls was like going on a wild adventure with four little monkeys. Luckily for us, Aunt Detty couldn’t stay angry for very long. Hours later that evening. with Uncle Phil nearby in his chair with his pipe and newspaper, my sisters and I sat at her knee, breathlessly listening to her recount one of her Irish fairy tales in a dramatic brogue. Monkeys never had it so good. You tell a wonderful story. I'm glad you enjoyed it, Anna. Thanks so much for stopping by!